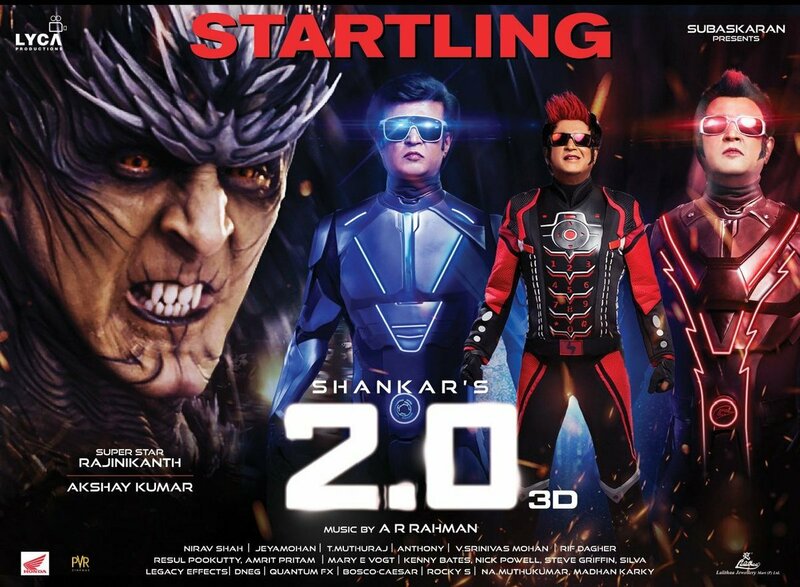 Superstar Rajinikanth who was having a dull phase of his career with sinking movies like kabali and kaala is now back with a bang as his latest offering 2.0 has been performing extremely well at the worldwide box office. The movie directed by grand maker Shankar is the sequel to their 2010 blockbuster Endhiran and has been released in more than 10000 theatres worldwide and including a $4 mn at US box office, has collected a whopping 488 crores worldwide. Now, the makers of the biggie, Lyca Productions have announced that 2.0 will have a grand China release as it will be released in May 2019 in more than 10000 theatres with 56000 screens and 47000 of them in 3D, making it the widest foreign 3D film release in China.